A member of the ABCD Board of Directors since 2005, Yvonne L. Jones is a veteran of the Massachusetts education system. She worked for more than 12 years at VIP Child Care, Inc., in Brockton, Massachusetts, where she served as a Site Director/Support Service Specialist overseeing staff, providers, budget allocations, regulation compliance, and provided support for linear programs including the Dept. of Early Education & Care (EEC), Dept. of Social Services, NAEYC accreditation programs, transportation, community partnerships, and more. Jones also served with Metropolitan Council for Educational Opportunity, Inc. (METCO) from 1994 to 2003 as a Director for the towns of Cohasset and Belmont. During that time she developed and managed the annual METCO budget, oversaw development projects as it applied to staff, parents and students, and coordinated diversity awareness and multicultural initiatives. During the late 70’s and early 80’s she worked for Boston Public Schools as a Library and Reading Paraprofessional. In addition to her volunteerism with ABCD, Jones also volunteers with Generations Inc., a literacy program with Boston Public Schools. She serves as a Site Team Leader at the Pauline A. Shaw Elementary School in Dorchester, and with Dana Farber Cancer Institute as an information volunteer assisting patients. Jones also serves as an Ordained Deacon for the Ebenezer Baptist Church, where she is an active member and has previously chaired the Christian Education Ministry. She is also a member of Delta Sigma Theta Sorority, Inc.
Jones received a Bachelor of Science degree from Lesley University and a Master’s in Education Administration from the University of Massachusetts. She is a member of the ABCD Executive Committee, serving as Board Chair. 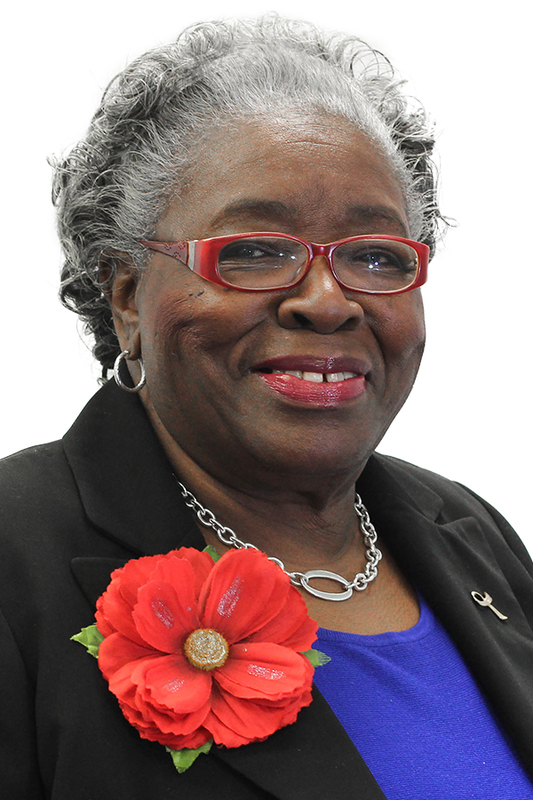 She has also served as First Vice Chair and as Chair of the ABCD Elder Services Committee. She represents the Dorchester area on the Dorchester Neighborhood Service Center (NSC) Advisory Board, and was a 2002 recipient of the ABCD Community Service Award.